Who makes the aluminium lockout? I did this a few weeks back, realizing I didn't take any real pics. Did anyone install one of these? Same as doing the shift boot I believe. I couldn't really get the OE plastic lockout to budge. I finally did but when I went to re assemble I didn't stuff the boot fringe ends in correctly before it popped back in. I wanted to re do it, So I ordered a spare plastic mechanism so I don't have to be so timid, give it a good pull and I'll give it some heat. Does anybody have any insight into popping this off? Just muscle it? Do you have a link or part number to the spare plastic mechanism? 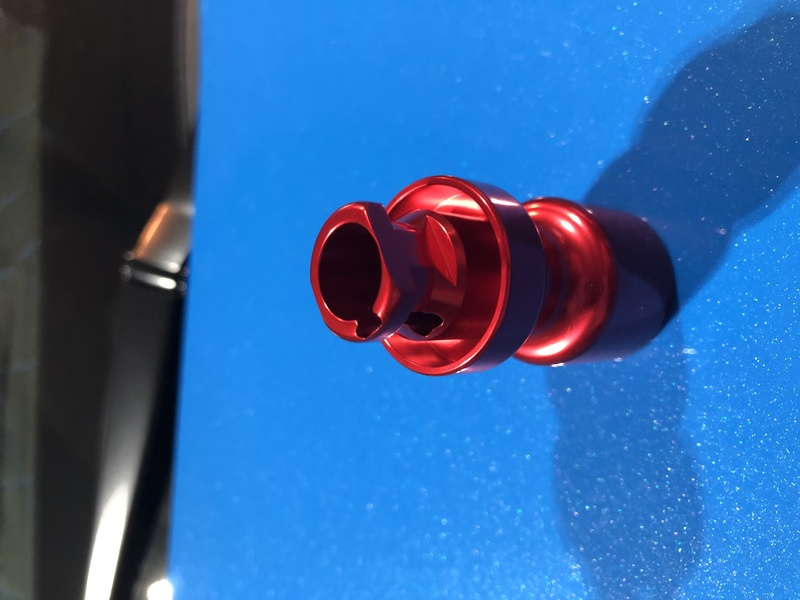 Caveat, I haven't received the part yet and can't personally vouch for it other than confirming I spoke with Tasca, they ran the VIN and they said that was it, but the diagram pic isn't very good. No one happens to have a CAD model of this piece do they? Might send a note to one of the guys hand making them to try and get the exact dimensions.. Seems like a prime candidate for 3D printing. Assuming the plastic joint isn't too flimsy. Thanks for the link! 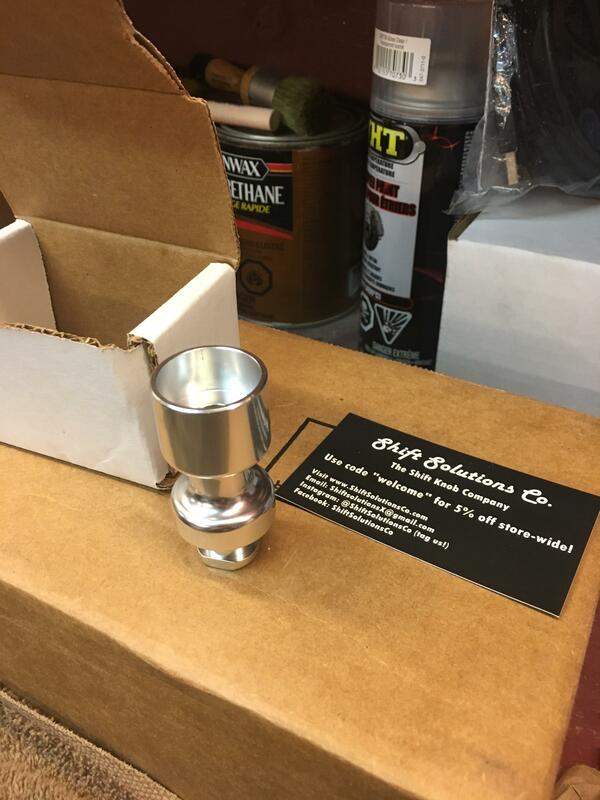 Got mine in the mail today in polished aluminum. Installed it in just about 3 minutes after dinner! Perfect fit and got rid of the gap at the back of my Bullitt knob. For 40$ I’m very pleased! I like that it almost looks stock in polished silver finish. Wasn't about to buy a titanium piece for 140$usd though (not questioning the quality or look of the ti one, just too pricy for what I wanted). For what I wanted this is perfect at a reasonable price too! Very nice, what boot is that? It’s from redline goods. Black alcantara and blue thread, 1in shorter than stock to fit better with the short shift arm. The stock boot is cheap and will eventually tear through at the reverse lockout area. Did it in my ST too. 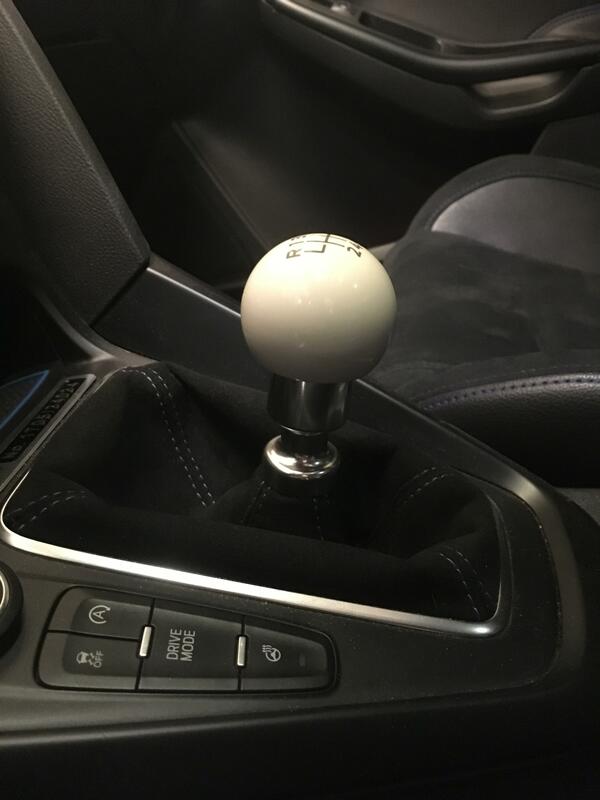 Might be worse with the short shift arm but it had started doing it already when I installed it at 22k km. 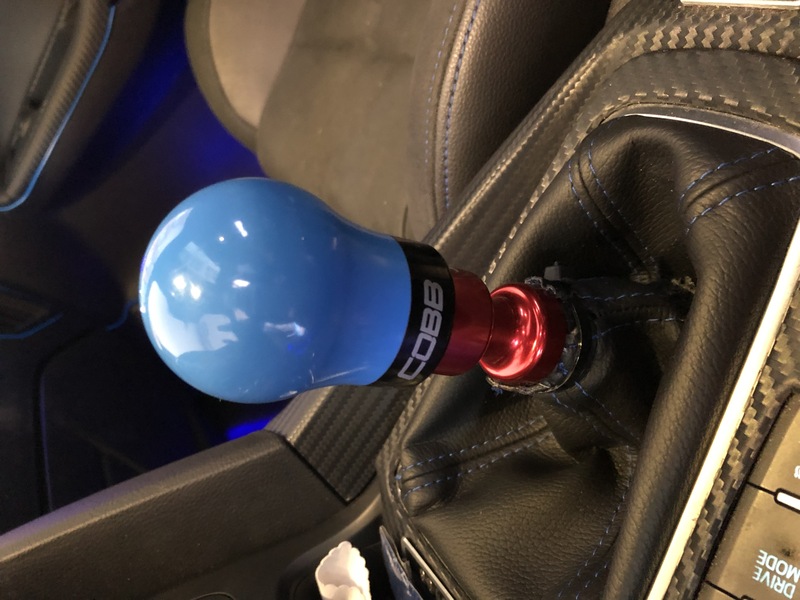 I also did the e-brake boot in the ST but that one was a pain, needed to be glued to keep in place, made a mess which left a few glue marks although not very noticeable. Not doing it in the RS!! Is there a write-up on how to change the lockout? 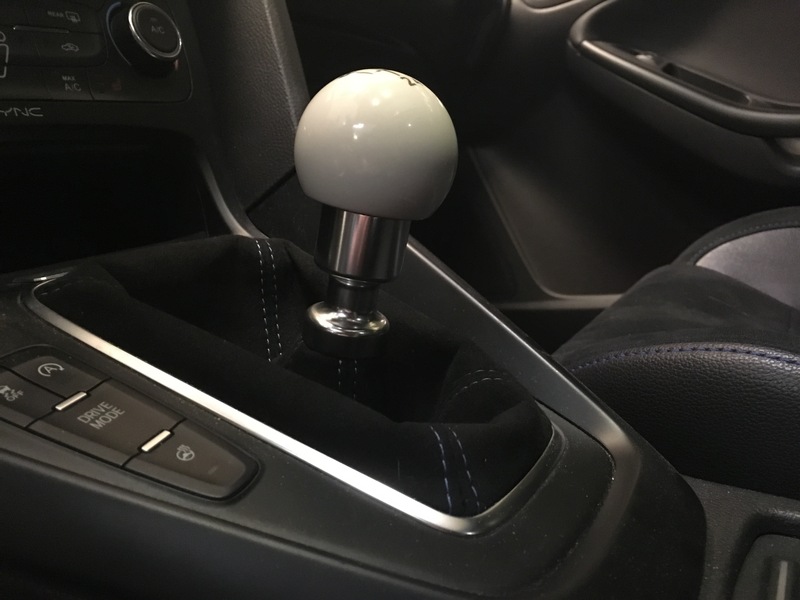 Reverse Lockout & Shift Knob GROUP BUY !!! 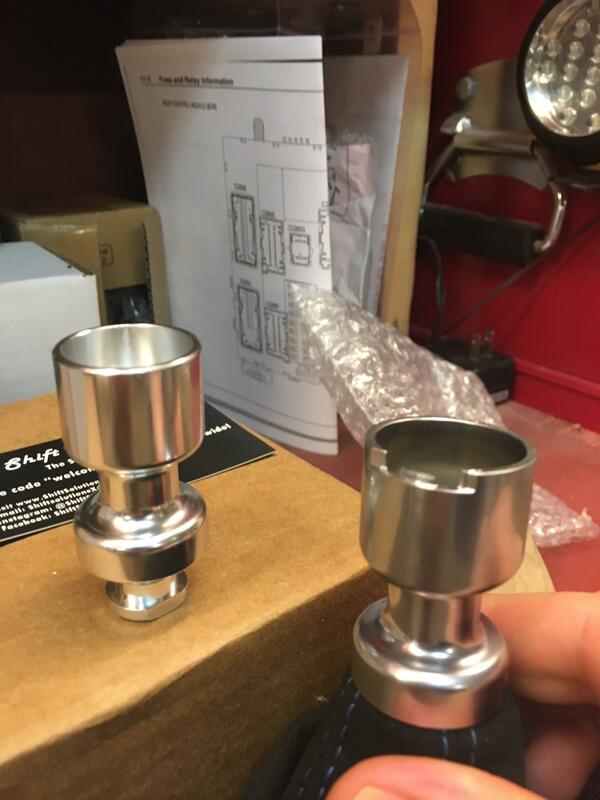 Lug nuts - Steel or Aluminum?